Mobile World Congress 2014 which took place from February 24-27 in Barcelona, Spain was undoubtedly a big hit. Numerous smartphones, tablets and wearables were seen to have launched in this mega event. Almost all the tech giants took the opportunity to showcase their latest creations in the MWC 2014. Acer Liquid E3 and Liquid Z4 are the two smartphones that the Acer fans need to live with for the time being as there were no sign of the Liquid S flagship smartphones. The 4.7 inch E3 has got a 720p resolution (312ppi pixel density) IPS LCD display which is pretty much decent as a mid-range smartphone. There is a 2MP front-facing camera with flash; yes, you read it correctly, there is a ‘flash’ to get yourself a better selfies. There is also another 13MP rear-facing camera with another flash at the back! On board E3 is a 1.2 GHz quad-core processor with 1GB RAM and 4GB internal storage with microSD card slot. Running on 4.2.2 Jelly Bean which is upgradeable to 4.4 KitKat the E3 comes with Acer Rapid, a rear button right below the camera. E3 is expected to be out in April with a price tag of €200. The Acer Liquid Z4 is a 4 inch smartphone with price tag of €100. The Z4 is a solid looking smartphone and ensure comfortable usage with one hand due to its compact size although it does not have that premium look of Z3 but it is powered by 1.3GHz dual-core processor and supported by 512MB RAM. Unlike Z3, the Liquid Z4 does not have a front facing flash but it has got a 5MP rear camera with flash. Running on Android 4.2.2 Jelly Bean this device is a decent entry-level smartphone. This year, Alcatel brought us three new smartphones: Alcatel One Touch Idol 2, One Touch Idol 2 Mini and One Touch Idol 2 Mini S. Along with the above mentioned devices; One Touch Pop Fit (an entry-level phone) was also launched in the MWC 2014. The Idol 2 is the largest of the Idol 2 family which comes with a 5-inch (720p) IPS display (~293ppi). The Idol 2 is a compact designed smartphone which is armed with a 1.2GHz quad-core processor, 1GB of RAM, 8GB of internal memory. Expansion slot is available to the single SIM version of the Idol 2 only (Idol 2 has dual SIM options as well). Running on Android 4.2 JellyBean currently and can be upgraded to Android 4.4 KitKat. The front camera is of 2MP whereas, the rear camera is of 8MP (1080p video shooting). This device will be available from March. The Alcatel One Touch Idol 2 Mini is the younger brother of Idol 2 which is a 4.5 inch display smartphone with qHD resolution (~245 ppi); the only noticeable difference. For the rest of the specifications, this 7.9mm thick smartphone is similar to the Idol 2 and will come with a price tag of €169. The Alcatel One Touch Idol 2 Mini S is 4G LTE package of the same old Idol 2. Other than the LTE, the difference can be detected at the back of this smartphone; instead of the plastic back, the Idol 2 Mini S has got a metallic back. While the rest of the configurations are almost similar, the Idol 2 Mini S will cost €209. In the MWC 2014, HTC came up with only the Desire 816 whereas, many of the HTC lovers were expecting the all new HTC one to be released. The Desire 816 is a 5.5 inch phablet built on a glossy plastic back which seemed very much prone to scratches (make sure you buy a protective cover/flip cover). Running on Sense 5.5, the 1.6GHz quad-core Snapdragon processor (and 1.5GB of RAM) makes sure that the Desire 816 is blazing fast. There is a 13MP primary camera and a 5MP secondary camera which are both impressive considering the fact that the Desire 816 is a mid-range smartphone. Compared to the HTC One, the front camera position of Desire 816 has been shifted from right to the left with no ‘back and home/multi-tasking’ touch screen buttons. The Desire 816, has a display resolution of 720 x 1280 (~267ppi) and will be available in white, black, red, gray and green colors. The Chinese tech giant have recently been coming up with some elegant design smartphones, this time at MWC 2014, they have introduced the Huawei Ascend G6, although, the looks are pretty similar to the P6 but the price aren’t. The G6 will support the 4G technology and is more affordable compared to P6. The device is armed with a 1.2GHz quad-core processor with 1GB of RAM and an internal storage of 8GB with microSD expansion slot under its hood. Although the device runs on Android 4.3 JellyBean out of the box but it is expected to be upgradeable to 4.4 KitKat. The 4.5 inch display is of 540 x 960 resolutions (~245ppi) which I personally believe to be an opportunity cost of including the LTE and at the same time keeping the price wallet friendly. The G6 has got an 8MP rear facing camera and a 5MP front facing camera. Overall, the Huawei Ascend G6 is a decent smartphone to play with but considering the rigorous market competition the device might face some hard time in convincing the customers. Other than the G6, team Huawei has introduced MediaPad X1 and a wearable TalkBand B1 in the MWC 2014. The S860, S850 and S660 are the latest creations of Lenovo. The flagship device, S860 is a 5.3 incher promises to serve its users all day long. It has a screen resolution of 720 x 1280 (~277 ppi), 8MP rear and 1.5MP front facing camera; running on 1.3GHz Quad-core Mediatek processor with 2GB of RAM and an internal storage of 16GB. The S860 which runs on Android 4.2 (JellyBean) comes in only black and will be costing around €250. The S850, second in command, is the 5 inch ‘all-glass design’ which packs 1.3GHz Quad-core Mediatek processor with 1GB of RAM and an internal storage of 16GB with no expansion slot. It has a 13MP primary and 5MP secondary camera for photo shooting and selfies. The S850 will be available in two colors: pink and white, costing €200. The smallest of the three, the S660 is a mid-range smartphone which is 0.6 inch smaller than S860 and 0.3 inch smaller than the S850. The device packs a qHD display, running on Android 4.2 (upgradeable to 4.4 KitKat). The specifications are pretty much similar to its other siblings except the option for expandable storage which is available in the S660 (up to 32GB). As for the camera, it has a 8MP rear camera and a 0.3MP front facing camera. The S660 will cost around €170 and is expected to be available from June 2014. This time Nokia has finally stepped towards Android; yes, you read it right, Android. Nokia X, Nokia X+ and Nokia XL are the first three Android siblings. The Nokia X is a 4-inch compact and funky smartphone running on Android 4.1.2 (JellyBean). Under the hood, there is a 1GHz Dual-core, 512MB of RAM and 4GB memory supported by a microSD expansion slot (up to 32GB). The entry-level smartphone has a 3.15MP rear facing camera only. The Nokia X bears a price tag of €100 and is available in yellow, black, white, red, blue and green. The Nokia X+ is completely same (don’t know why!) except for a 768MB of RAM and for that it will cost additional €20 (i.e. €120). However, Nokia XL is a more ‘acceptable’ one out of the three; sporting a 5-inch IPS LCD display (~187ppi), 5MP rear and 2MP front facing camera while the rest of the specifications are same as t Nokia X+. The price for Nokia XL is set at €130. The highly anticipated smartphone of MWC2014 i.e. Samsung Galaxy S5 was launched in the Samsung’s ‘unpacked’ event. The S5, successor of S4, has got its resemblance from S4 but received a lil larger screen (0.1-inch) and the back looks more elegant now with faux leather look almost similar to the back of Nexus 7 (2012). Other than the physical changes, the new dust and waterproof Samsung Galaxy S5 has a fingerprint scanner on its ‘home key’ and a heart-rate sensor at the back (beside The LED flash). Few other minor changes were made as well within the S5 compared to S4 (e.g. notification panel, settings option, S Health app etc.). The S5 has a 16MP rear facing and a 2MP front facing camera with some added options to capture photos with different modes. The S5 packs a beastly 2.5GHz Quad-core Snapdragon 801 processor with 2GB of RAM and internal storage of 16/32GB (expandable up to 128GB) and it runs on Android 4.4.2 (KitKat). The Galaxy S5 will be available in four colors: Black, white, blue and gold; and will cost around €700. The successor of Xperia Z1 is out within 6 months of its launch here in MWC2014. The Z2 has got a stunning 5.2-inch IPS LCD display with resolution of 1080 x 1920 pixels (~424 ppi) supported by Live Colour LED technology making the contents in the display even better. The bigger, lighter, shatter, dust and water proof Z2 runs on Android v4.4.2 (KitKat). Clocked at 2.3GHz the Z2 is powered by Quad-core Snapdragon 801 processor and 3GB of RAM. If you are not impressed yet, then here it is, the Z2 also boasts a 20.7MP primary camera and a 2.2MP secondary camera capable of shooting 4K video. Other than the hardware, Sony Xperia Z2 have features like ‘Smart Backlight Control’, ‘tap to wake up’, refreshed quick notification panels etc. The Z2 comes in black, white and purple color and will cost €600. That’s it! Hope you have enjoyed reading this long post on the smartphones released in MWC (most of it). Out of all the ones listed above, which one are you more inclined to buy this year? Shoot your comments below! 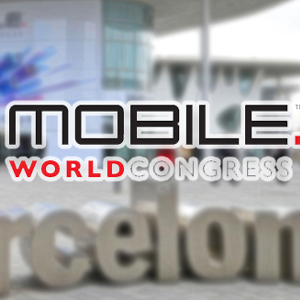 Mobile World Congress 2014 which took place from February 24-27 in Barcelona, Spain was undoubtedly a big hit. Numerous smartphones, tablets and wearables were seen to have launched in this mega event.